Each year, my favorite month seems to broaden into my favorite months. October has always been my favorite simply because that is the start of fall and football. Those two things seem to QUICKLY lead to the holiday season which was always the best part of my year when I was a kid. 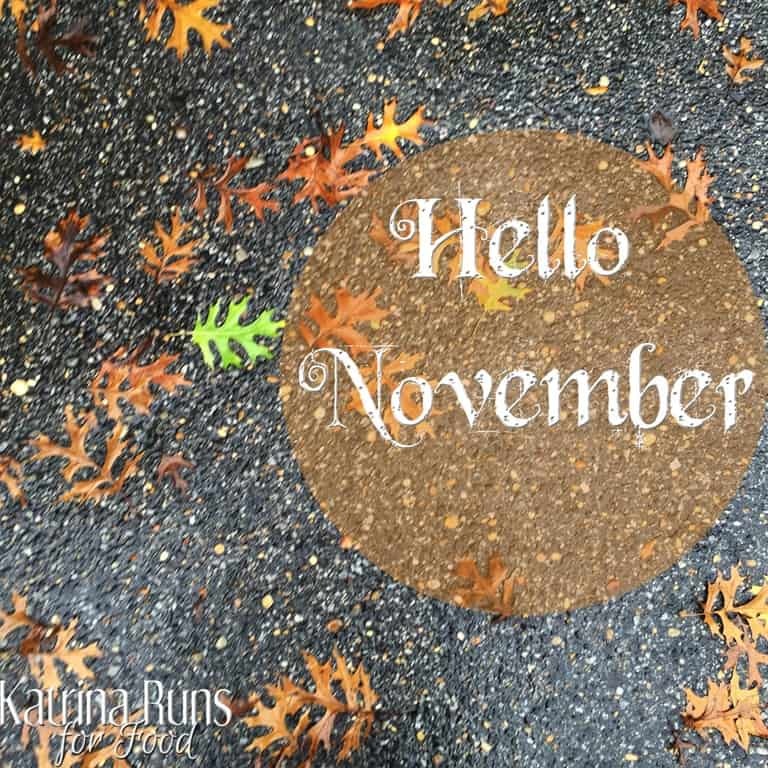 November is the quiet month. After the frenzy of Halloween, two things happen: Those who like to keep holidays separate enjoy a few weeks of cooler weather and “not much going on”. Those of us who have no shame in throwing out turkeys with reindeer quietly decorate our houses and enjoy the holiday candles and Christmas lights and movies before the official holiday madness begins. But with the quiet month comes big changes. There is a lot of reflection in those shorter days and dark evenings. There is a lot of mental preparation behind the scenes. Resolutions are already on the brain. Thoughts of how to balance good nutrition with decadent treats are flowing freely. Anticipation for once-a-year dishes begins to flourish. Those dark days of November are witness to a lot of activity. Thinking about joining those fitness classes now or January, questions of starting a new race training plan now or wait for after the long school break, beginning those new year goals now or after the trees are put up. These thoughts cross a lot of our minds during November. What about me? I’m not waiting for anything. I have a race in February and the training is happening now. I have strength goals to accomplish because lifting the grocery bags and opening the pickle jar should not be difficult. Eating too much junk and sugar for the sake of holiday tradition means I feel like hot garbage the other hours of the day. 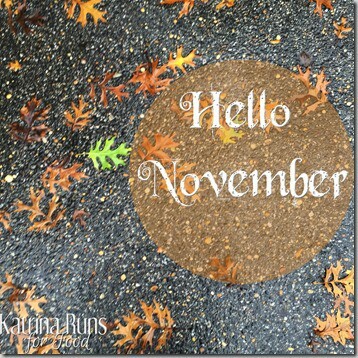 So, with these thoughts in mind….hello November. I have big plans for you.